Infinite Art Tournament: Bloomsday 2012! Infinite Art Tournament wishes you and yours a episodic and peripatetic Bloomsday, rich in interior experience and external incident! 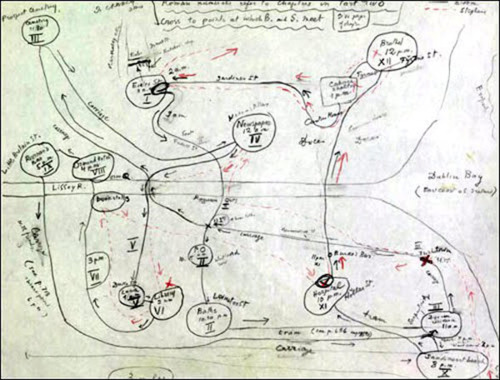 The action of Ulysses as diagrammed by Nabokov in his lecture notes. "There's a touch of the artist about old Bloom."